Planning a 3-day trip to Budapest and want to know what are the best things to see and do on your break? Well, keep reading! 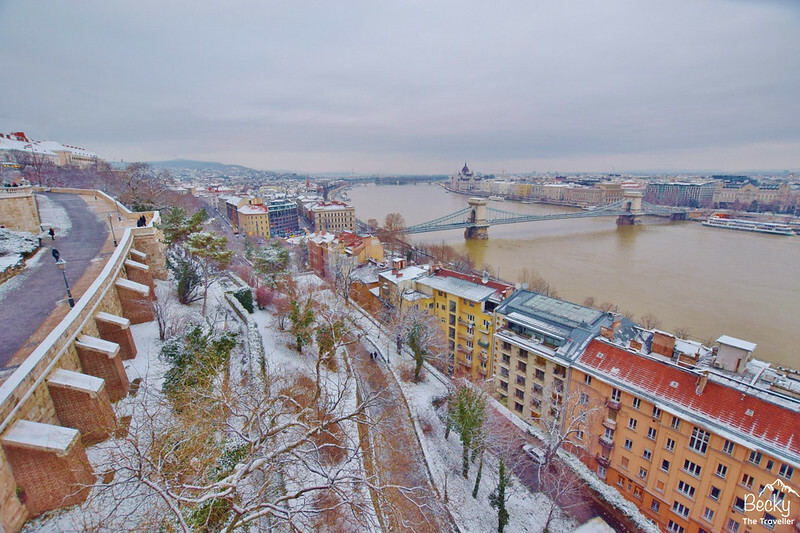 Budapest in Hungary is by no means an expensive country to travel in. But a lot of people visit whilst travelling around Europe therefore even if you’re spending 3 days in Budapest you might be on a tight budget. 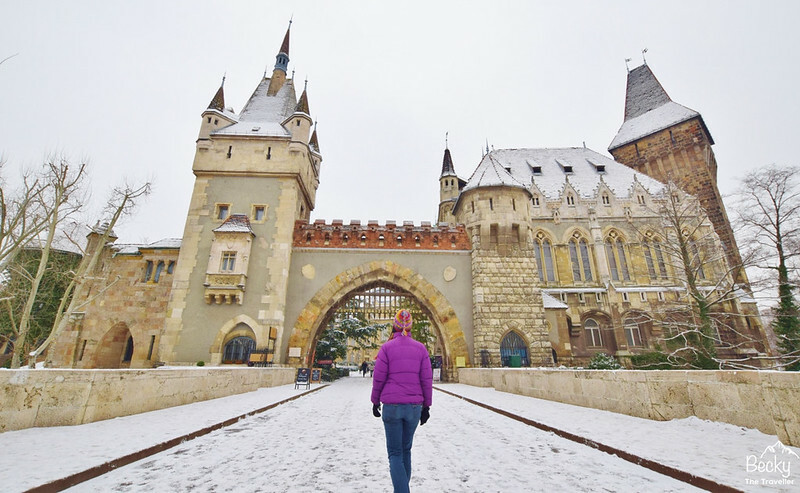 Here are your Budapest must-see attractions and things to do, including spending costs so you can decide how much spending money to take to Budapest. 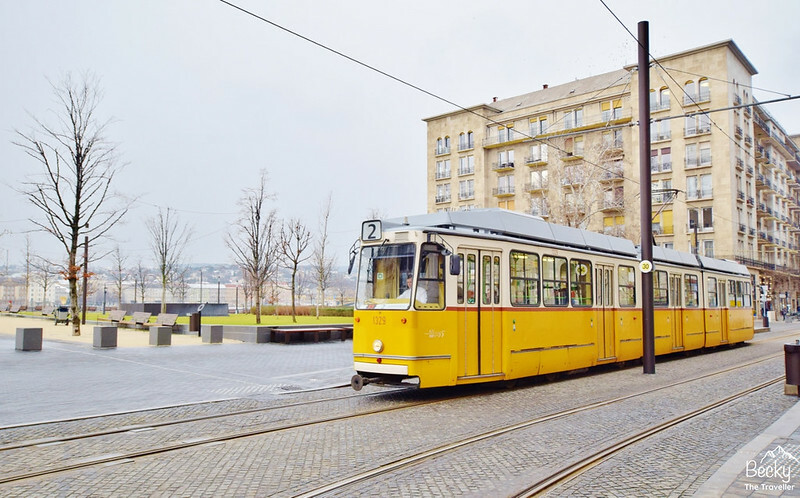 This itinerary is based on 3 days in Budapest (your typical long-weekend break). But you can also use for a 2-day itinerary too. 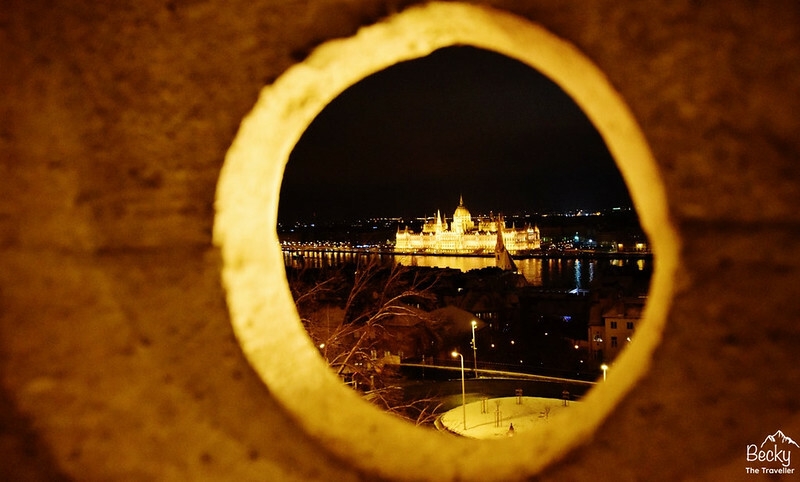 If you are staying longer than 3 days in Budapest you might want to read my post What to see in Budapest for some more ideas. How much were my flights from the UK to Budapest? I visited Budapest as a cheap city break. After searching via the Explore option on Skyscanner I found some return flights from my local UK airport (East Midlands) for £35 return with RyanAir (bargain!). You can buy the Budapest City Card which includes public transport plus other discounts to help you plan your trip in advance. Save and buy your Budapest City Card before you go, check out prices here. What are the Transportation Options to/from the Airport? How to Travel Around Budapest City? What Currency do you need in Budapest? How much Money do you need for 3 days in Budapest? Where to Eat in Budapest? Many people will plan an itinerary in Budapest by spending time on either the Pest or Buda side on a particular day. But when you arrive in Budapest, you’ll realise that the Buda and Pest areas are literally only across the river so they are easy to visit both areas in a day. If you are travelling on a budget then try one of the FREE walking tours in Budapest. I opted for the Original Budapest Tour. This is a great way to orientate yourself around the city. And learn a few things too. There are a few companies that offer these tours, all taking slightly different routes around the city. My favourite was ‘Trip to Budapest’. The idea is you join the tour and if you have a good experience you leave a tip. Meeting point is Vörösmarty tér, a square in the centre of Budapest at 10.30 (afternoon tour at 14.30). 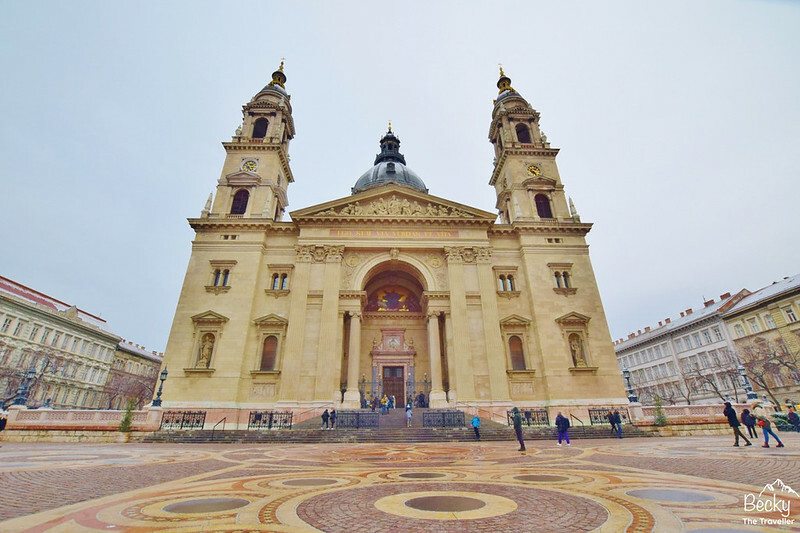 The tour will take you around all the top tourist spots, including Budapest Houses of Parliament, St Stephen’s Basilica and many more awesome Budapest places. Take HUF in cash for your tip on the Walking Tour. Walk or catch the bus cross the Chain Bridge (Buda side), you have two options to the top. Catch the traditional Funicular, originally opened in 1870, then reopened again after damage in World War II in 1986. The Funicular is now a major part of the landscape by UNESCO World Heritage Site. They run every 5-10 minutes and don’t take long to reach the top. Or alternatively, you can walk and enjoy the views on the 10-minute walk up. Film geeks? 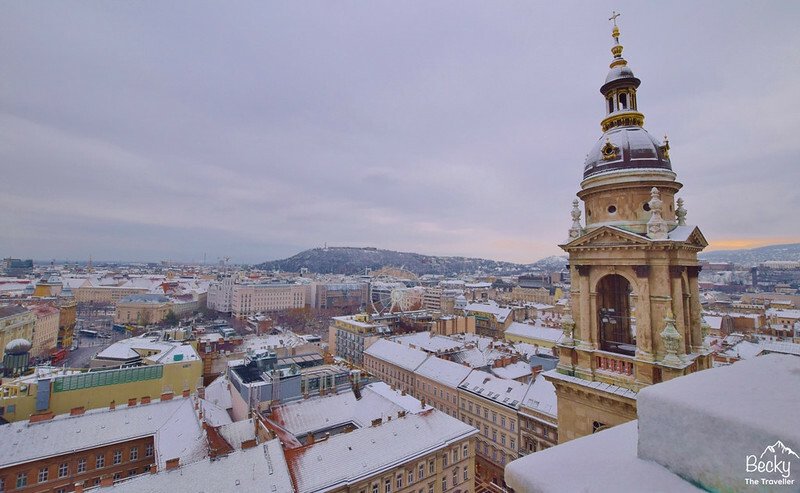 – Check out this film tour of Budapest! 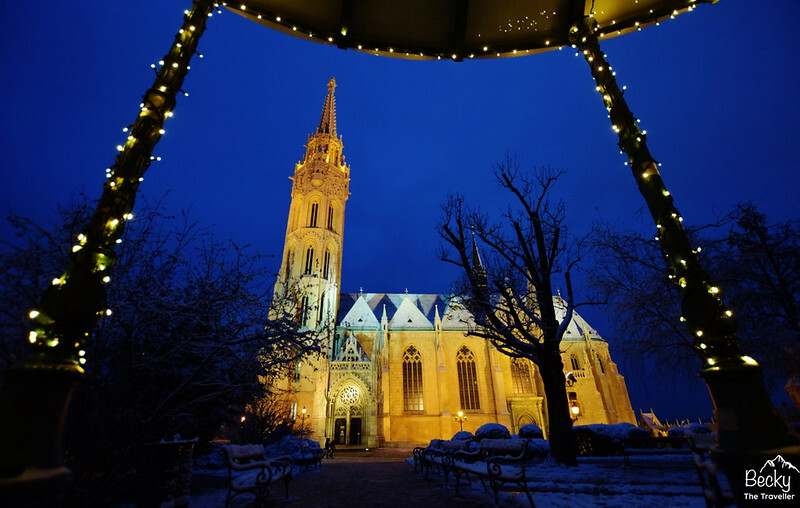 St Matthias Church is beautiful and a must-see place on your 3-day Budapest trip. If you’re visiting in the summer months then you’ll have the treat of seeing the stunning church roof (in winter it was covered in snow!) 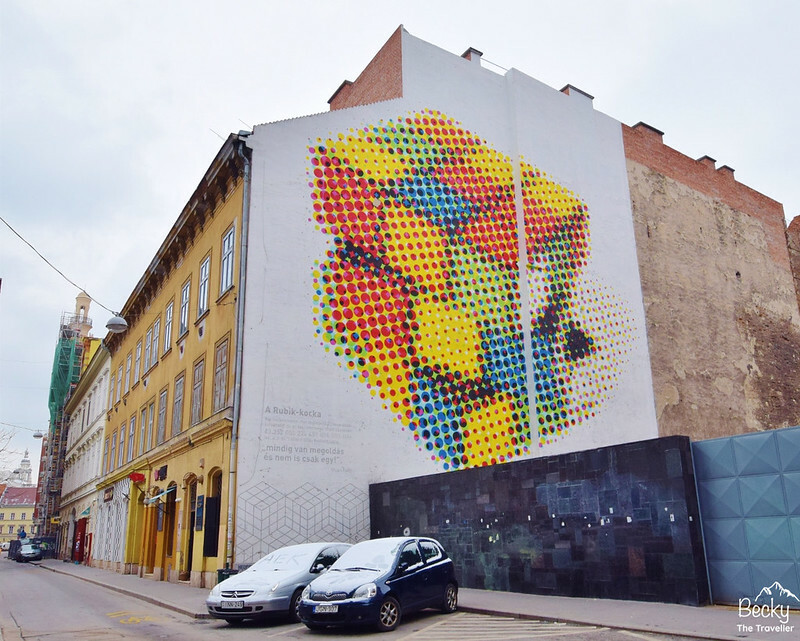 Another thing you can see in Budapest for free! Depending on how much you’ve already walked around Budapest (it’s only day 1 of 3 days! ), you may wish to jump on a bus number 16 back to Pest. I opted to explore the stunning St Matthias Church, only a 10-15 minute walk. In winter the light was fading but I was in for a treat as the church was lit up and looked stunning. And since you’re already close by, then explore the Fisherman’s Bastion which is right next to St Matthias Church on your 3-day itinerary. From here you have amazing night views of the city. There’s one section that you need to pay extra for (this is the best view of all). But on reflection it’s not essential, the views from lower are just as stunning. The ONLY difference is the views of Budapest Houses of Parliament are completely unobstructed, lower down a church is slightly in the way (if you are really fussy). And there’s a café with a few low power heaters (handy in winter months). Another one of the FREE walking tours with ‘Trip to Budapest’. This walking tour takes you around the Jewish Quarter in the Pest area. So show you a different part of Budapest. Again, at the end of the tour if you’ve enjoyed the experience then you leave a tip (be sure to include tips in your budget planning costs). Same meeting point at Vörösmarty tér, in the centre of Budapest at 10.00 (1 Nov-31 Mar) and 15.30 (1 Apr-31 Oct). This tour lasts 2-2.5 hours so the morning tour ends 12.00/12.30. The great thing about this tour is that we finished in a local food market in the heart of the Jewish Quarter. And there’s a café serving traditional Hungarian food. The local markets have great but also relatively cheap food, with big portions too! On a clear day (i.e. not raining) go to St Stephen’s Basilica, you may have already walked past this on your Free Budapest Walking Tour but now it’s time to go inside. Actually, on a wet day in Budapest going inside would be a great idea! But you can also climb the 302 steps (or lift and steps) to the Panorama Tower so it’s great if it’s a clear day. 40 minutes from the city centre (via bus no. 9 and 65) you can venture deep below ground to visit Budapest’s caves system. In winter, this is a great activity because it’s warmer in the caves than outside. You’re underground for nearly 2 hours and it is the most amazing adventure, so this activity will take a good part of your day’s itinerary. Squeezing you through narrow passageways and tiny gaps in the rocks that you think are impossible to get through. But if you love a challenge then be sure to check this out. More information here Viator Caving tours or you can read about my full Budapest Caving experience here. Or if you enjoy your cocktails then try out the top 5 cocktail bars in Budapest. Located in City Park, you can enjoy your time walking around Vajdahunyad Castle grounds. And even try out the Ice Skating when the pond is frozen (November to March). This area is probably the further away from the city centre but worth including in your itinerary as the Castle is stunning. 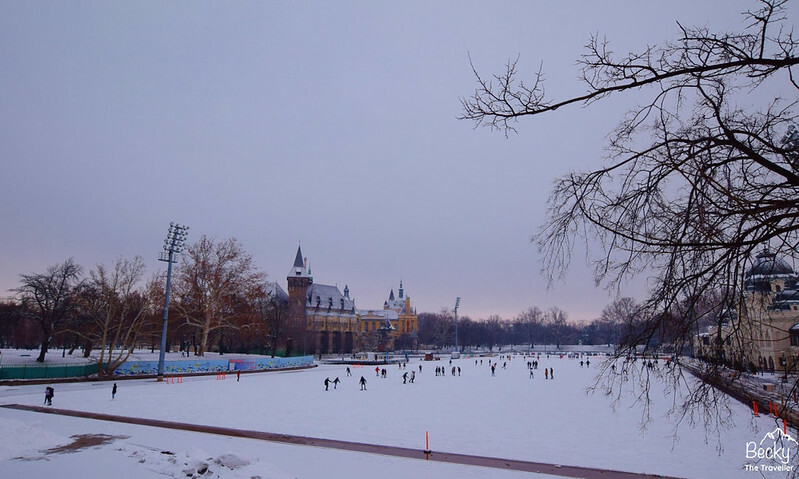 Wrap up warm in the winter months in Budapest, it’s pretty cool! I love my down jacket, perfect for weekend trips as it packs really small. It’s about an hour’s walk to the Central Food Market. Or you can jump on the Yellow Metro line to Deak Ferenc ter. Pop into the Budapest Central Food Market, downstairs you’ll find a huge selection of fresh fruit, vegetables, cheese and meat. Then if you are feeling brave head upstairs. This is a serious tourist fest. There are so many gift shops, all selling the traditional magnets, mugs and so many other gifts I can’t possibly name them all. But you can also grab some lunch here from one of the many food stalls. The Rudas Baths are located on the Buda side of the city, close to Gellert Hill. If you are spending longer than 3 days in Budapest you might just want to visit the baths more than once as they are so relaxing (or try one of the many other baths in Budapest). Allow at least 2 hours in your itinerary. What are the Transporation Options To/From the Airport? Catch the 100E bus straight outside the airport. This drops you off at Deak Ference ter (Deak Square) in the centre on the Pest side (very close to the Jewish District. Use the purple ticket machine to buy a ticket (or at busy times they may have staff you can buy one directly from. It takes 35-40 minutes. Top Tip – Remember to buy your return ticket from one of the machines (there isn’t one at the bus stop). Taxis are available directly outside the airport. Time to Budapest city is about 25-30 minutes. Walk – This is a great city to walk around. And with so many huge landmarks it’s difficult to get lost. Each day I walked between 20,000-25,000 steps (for those of you that have Fitbits!) A great way to exercise, enjoy the sites and create some space for all the delicious food and wine! Bus/tram/metro (Single tickets) – You may wish to use public transport a few times whilst you are visiting. I even did once or twice and I love walking! Tickets are 350 per journey. Bus/tram/metro (10 tickets) – Same as above but for a discounted price you can buy 10 tickets for 3,000 HUF = 300 HUF per single journey. If you’re travelling with someone else this is definitely worth doing, you’ll easily use 5 single trips each. Taxis – Don’t flag one down on the street. If you opt for a taxi in Budapest then ask your accommodation or restaurant to book one for you. In Hungary, they use the Hungarian Forint (HUF). This is the national currency and as such be prepared to pay in HUF, even though some prices are quoted in euros. There are a few places that accept euros, however, the exchange rate is normally lower (300 HUF to 1 EUR). Plus change will be given in HUF. The only exception was when I paid in euros at the airport for a bottle of water I received the change in euros. Since I was travelling on a budget in Budapest I limited the tours that I did. These were the biggest costs on my trip. 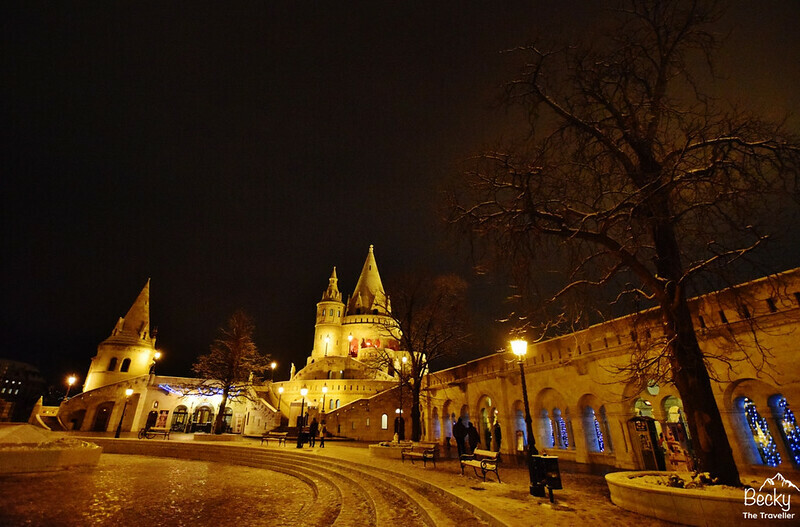 Generally, the Pest area of Budapest has more accommodation options, as well as a good choice of restaurants and bars. So if you’d like to be close to everything this is the best place to stay. Over on the other side of the Danube this a more residential area but there are a few hotel options in Buda. On my Budapest trip, I stayed at Friends Hostel on the Pest side of the Danube. They also have private rooms and apartments so options for all travellers. The location was in the city centre, close to the Jewish District and about 15-minute walk from where the airport bus dropped me off at Deak Ferenc ter. There are so many great bakeries, cafes and restaurants in Budapest (not to mention the Street Markets too!) Start your day with a good breakfast. Depending on where you are staying, either visit one of the many cafes in Budapest or pop into one of the bakeries (they have a huge selection of pastries to choose from). Koleves – A great selection of Hungarian meals including the famous goulash. They also have a good vegetarian choice too and a glass of Hungarian wine. Fancy something different, the Olive Tree does a gorgeous range of hummus dishes and have some great Hungarian wine to accompany your meal. 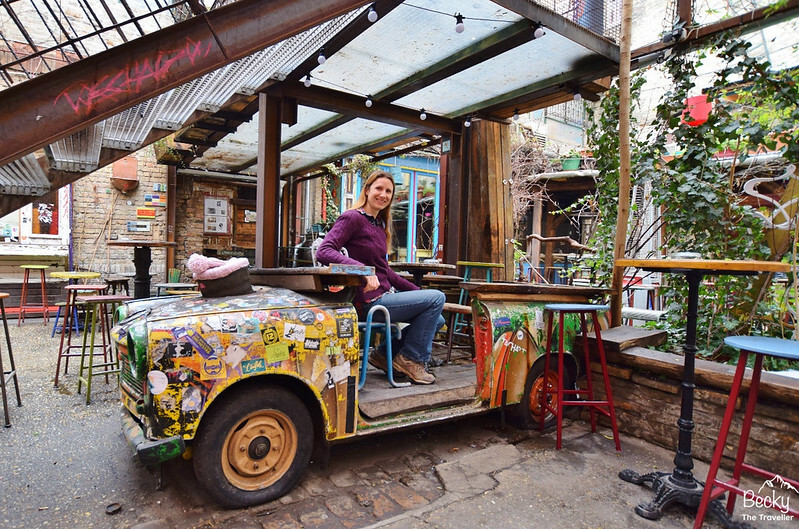 Drum Cafe – A cute and friendly café that serves lots of traditional Hungarian food. As well as different flavoured beers – ginger, cranberry, elderberry and cherry beer. Top tip – save money on your Budapest trip by carrying a cool water bottle with you. Saves buying plastic bottles! What else to do in 3 days in Budapest (or longer)? Budapest is one of those cities where there is so much to do and 3 days in Budapest will probably never be enough. 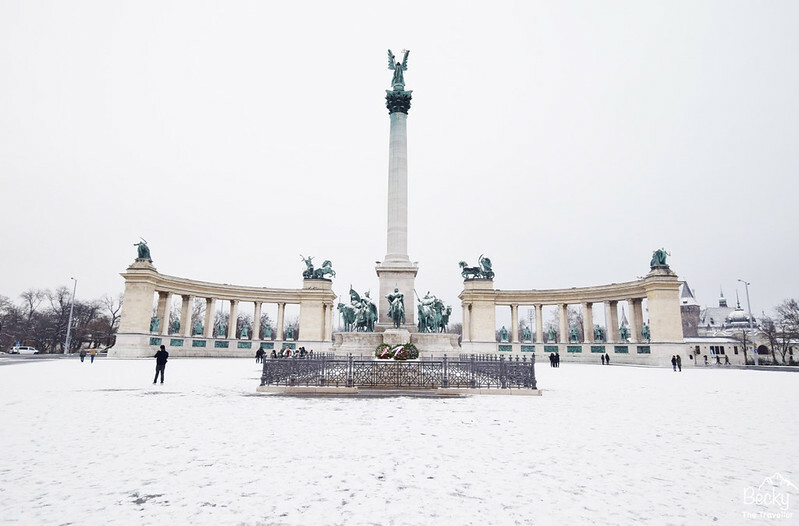 For more ideas and inspiration check out these Budapest tours with Viator or search via Trip Advisor for reviews and cool tours to do! You can check out my latest post on What to see in Budapest including FREE things to do in Budapest. Caving In Budapest Adventure – ALL You Need To Know About The Cave Tour! 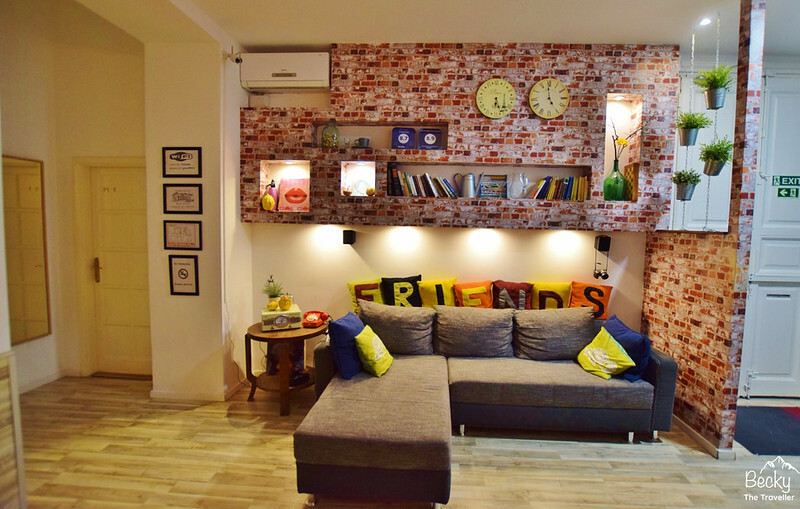 Friends Hostel Budapest – Is This The BEST Hostel In Budapest? Great post as always, Becky! Love the detailed tips. Budapest is definitely on my list so I’ll be sure to come back to this when I finally get there. Ah thanks Lynne, yeah Budapest is gorgeous I really want to go back again! You…are an awesome blogger…extremly helpful!!!!!! !